After spending the past twelve months editing and publishing two novels, I am finally able to return to a manuscript I haven’t touched in more than a year. Time and Regret interleaves the stories of Grace Hansen and her grandfather Martin Devlin, the former taking place in the early 1990s, the latter occurring during WWI. In one chapter Grace visits New York’s main reference library to research WWI. I have her reading all sorts of reference books and then checking one book out of the library to read more closely. That book is a WWI memoir titled And We Go On by W.R. Bird. Born in 1891, William Richard Bird was a Canadian writer who served in WWI. Over his career he produced fifteen novels, two memoirs, and several history and travel books. And We Go On, Bird’s first memoir, documents his time in France during WWI. 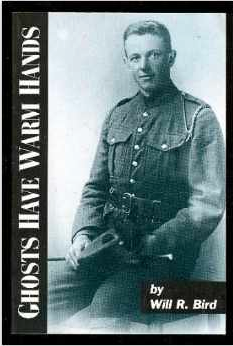 It was republished in 1997 under the title Ghosts Have Warm Hands: A Memoir of the Great War 1916 – 1919. Here’s an excerpt I plan to include in my novel — after securing the appropriate permission, of course. Bird’s memoir has a profound effect on Grace Hansen.
. . . and it came. One instant we were speaking in low tones, watching a red flicker of artillery away on the right and the next heart beat the very earth seemed to quiver. One great sheet of flame seemed to leap along that twenty-mile front and the roar that made the trench tremble was so fused that we could not distinguish single explosions. It was a stupendous thing. We were shaken, stunned, bewildered. For a moment we could not make ourselves heard, then, gradually, the barrage became more broken, and by shouting we could make ourselves understood. Someone touched me on the shoulder. I turned and there stood Eddie, from thirteen platoon. He reached for my hand and his face was deathly white. I gave him a hearty grip and shouted, “Good luck, old timer.” He shook his head. “This is my last trip”, he called. I made no reply. What could I say? We stood together, watching the flashes and then he moved away, slowly, down to his men. A quivering earth, a sheet of flame, a man who knows he won’t survive. Powerful images. Immensely sad. Interesting … and with I see a companion volume on communications. Both books quite rare with good Amazon reviews. Perhaps when you inquire about permission to quote you might ask whether publishing as an e book might be considered by the rights holder. 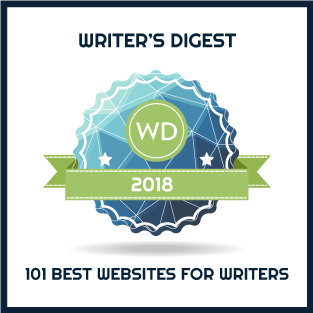 There must be so much interesting and educational written material around which could be converted to e book format relatively cheaply and risk free so important memories of events are not forgotten. What a great idea, Alexander. Like Project Gutenberg, some books and other materials deserve to be fully available. Fortunately, there are many documents/letters/diaries in the public domain. Some were so very helpful to me. What a treasure to find, Mary. Great concept for a novel. I used that book in my research as well, Mary. Powerfully written.